Rocky Balboa going toe-to-toe with Ivan Drago in Rocky IV and singlehandedly ending the Cold War in the process is one of the finest moments of the classic Rocky films. Sure, it was definitely the cheesiest of the original movies (did it really need a robot butler? ), but that training montage and final bout simply can’t be beat. It’s that intensity and exhilaration that Creed II is trying to capture and, judging by this new trailer, it’s achieved it in spades. Like most people, I absolutely adored Creed, with the movie functioning as a logical winding down of Rocky Balboa’s story and the beginning of Michael B. Jordan’s Adonis Creed’s time at the top. With its textured look at race and class in the US, top-notch editing and amazing soundtrack, it blew audiences away and got nominated for several major awards. Hopefully, this sequel can continue the trend, as it looks to introduce the son of Ivan Drago and allow Adonis to avenge the death of his father all those years ago. In classic Rocky style, much of the trailer is devoted to a hard-hitting training sequence (with a kickin’ DMX song soundtracking it) in all kinds of cinematically interesting places, and it appears that we can expect the characters to journey to the desert for a low-key boxing match designed to reinforce Adonis’ skills. We also get a look at an appropriately craggy and menacing Ivan Drago, who appears genuinely scarier than the steroid-fueled Terminator that Rocky eventually brought down in Moscow. Though Ryan Coogler has taken a step back from the directing chair due to his Black Panther duties, it seems as though Steven Caple Jr. is a more than capable replacement for him. 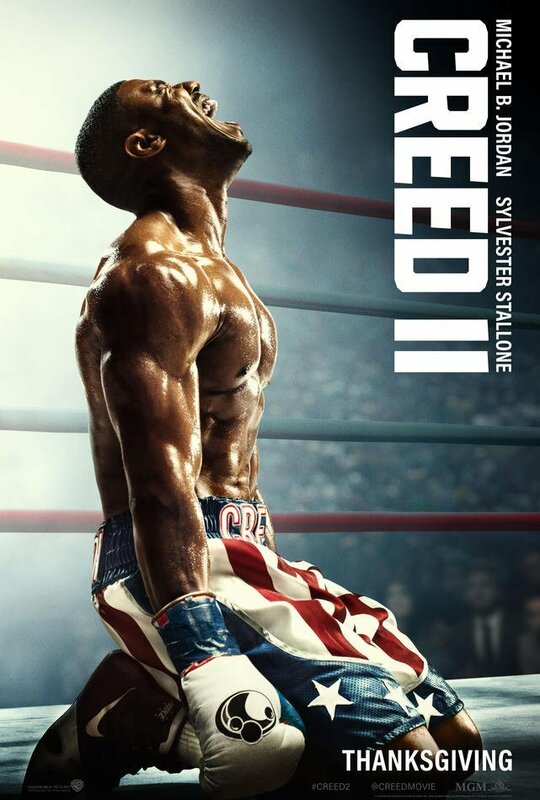 Let’s just hope Creed II can capture that magic in a bottle that its predecessor did so that we can see more from this awesome series. And hey, if we ever get to a fourth film, maybe it’ll finally be time to bring back that robot butler?